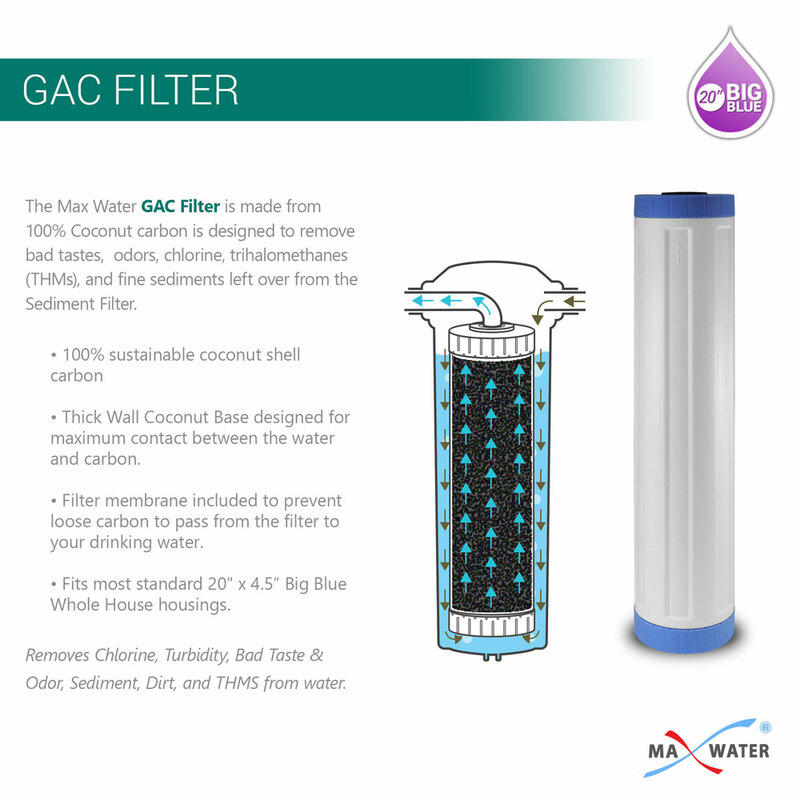 GAC 20" Coconut shell Carbon Filter - Size 4.5" x 19 7/8". 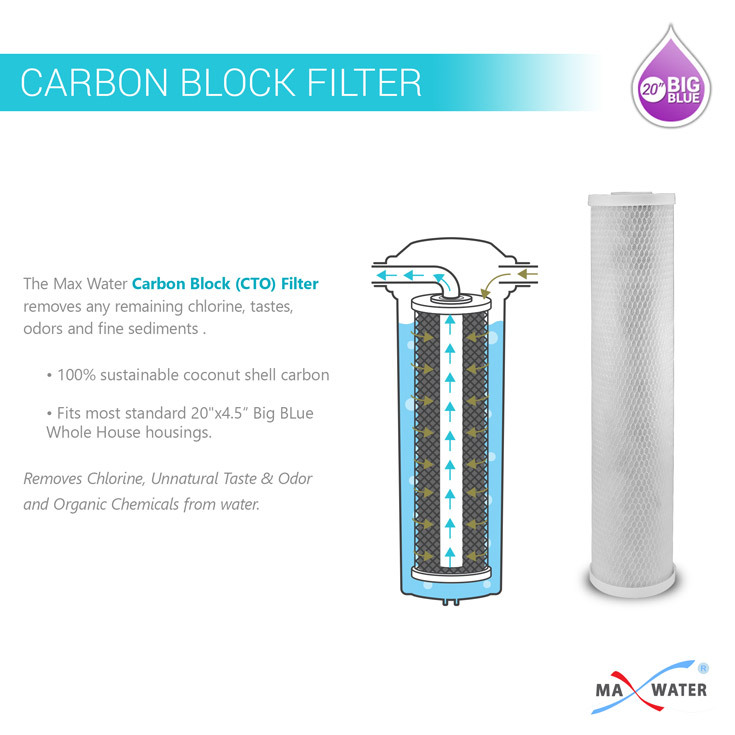 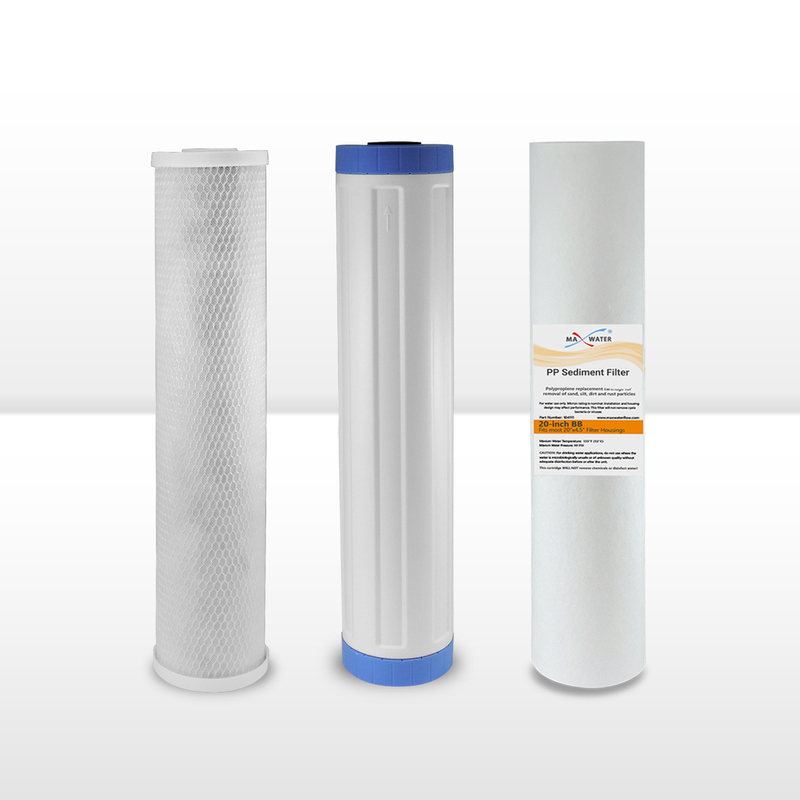 Thick Wall Coconut Base Carbon Filter Media - 100% coconut shell carbon, designed For maximum contact between the water and carbon. 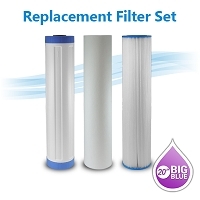 We use these filter for misting systems. 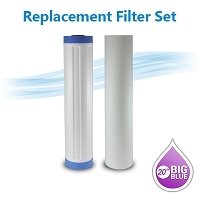 They greatly reduce maintenance on the nozzles. I'm using water Filter system for our entire house for 8 month now. 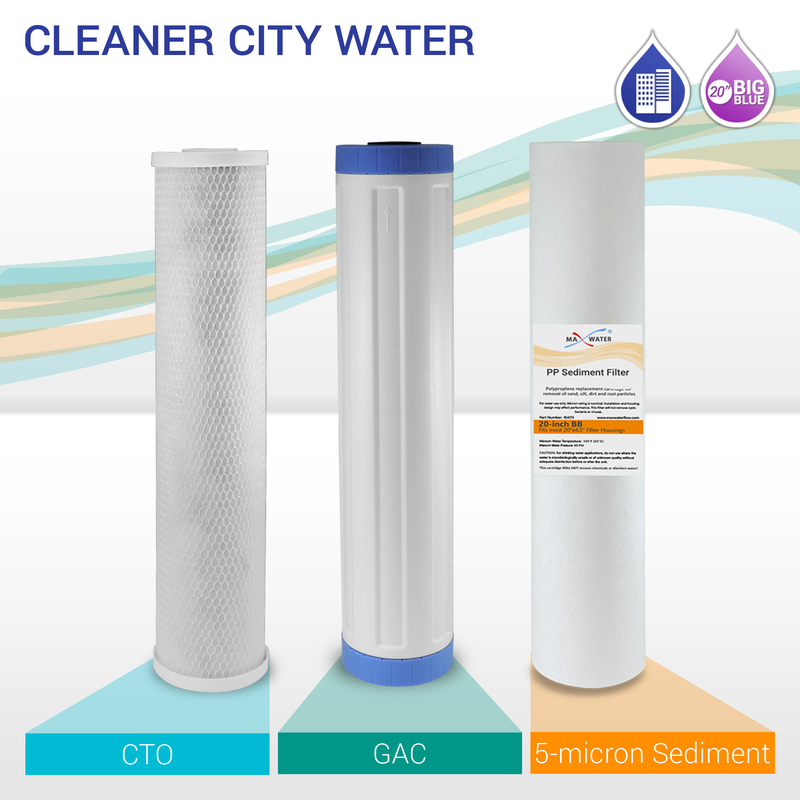 We are satisfy with the quality of water and it's test. 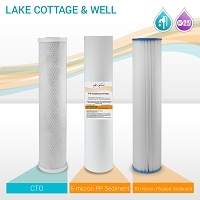 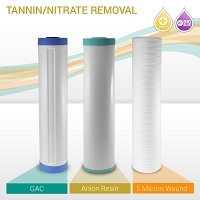 No more chlorine odors and no more particles in our water. 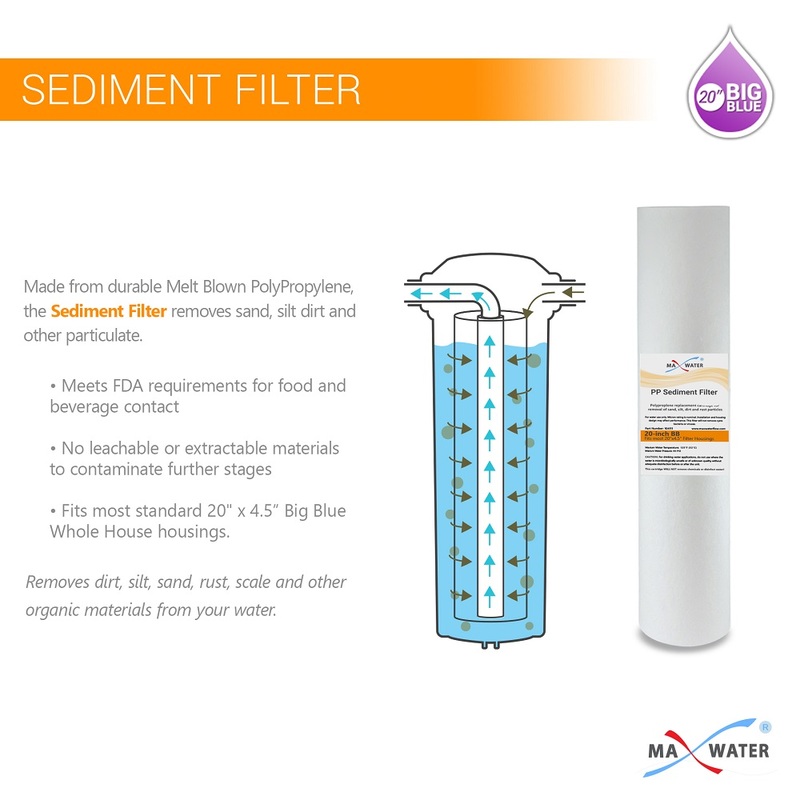 Seems to work so far. 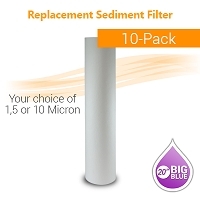 No instructions on what series to put them in with, or why one filter has an open and closed cap on it. 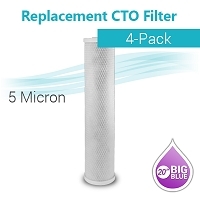 Went by picture and black carbon from middle one (open or closed on top) seem to plug up outside of last filter, hope this does not impede performance.